For software engineers and computer programmers who are writing, developing, testing, debugging software on either IBM PCs or Unix systems. 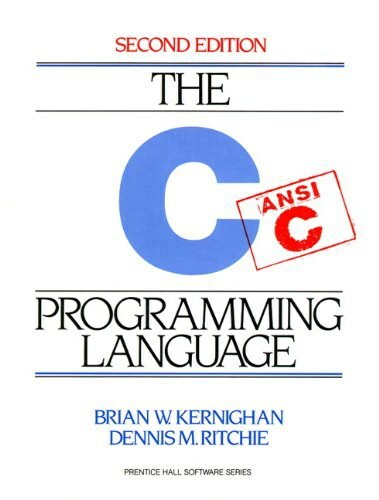 Written for experienced C programmers who want to quickly pick up some of the insights and techniques of experts and master the fine arts of ANSI C, this volume passes on the wisdom of a highly experienced C compiler writer and his colleagues to help programmers reach new heights, and avoid common software pitfalls along the way. Using an original approach and a humorous style that makes deep knowledge both easy and accessible, it gathers into one place, tips, hints, shortcuts, guidelines, ideas, idioms, heuristics, tools, anecdotes, C folklore, and techniques that are often penciled in margins and on backs of papers by those working in the programming trenches-working on many different kinds of projects, over many, many years. A good supplement to CSAPP. C Expert Programming, Deep Enough!! The type system was added primarily to help the compiler-writer distinguish floats, doubles, and characters from words on the new PDP-11 hardware. Arrays start at 0 rather than 1. Most people start counting at 1, rather than zero. Compiler- writers start with zero because we're used to thinking in terms of offsets. The fundamental C types map directly onto underlying hardware. Array names in expressions "decay" into pointers. A declaration indicates a name that allows you to refer to an object created here or elsewhere. "arrays are the same as pointers." l-value,is functionality to locate, represent a address. 但只有modifiable l-value可以 在 assignment operator 左边. The key point here is that the address of each symbol is known at compiletime. In contrast, the current value of a pointer must be retrieved at runtime. generates address offsets from the start. That's why you can equally write extern char a; as well as extern char a; . Both declarations indicate that a is an array, namely a memory location where the characters in the array can be found. 记忆犹新, 且不绝于耳的便是const char *一类的声明的含义, 着实难以理解. 1. C作为type model开创者, 前无古人可以效仿, BCPL is type-poor. 2. the C philosophy that the declaration of an object should look like its use. The advantage of this is that the precedence of the various operators in a "declaration" is the same as in a "use". PS:int *p 应该被int &p替换掉, C++这么干了. C's struct is similar record in awk. Structs can also have bit fields, unnamed fields, and word-aligned fields. variable declarations should be separate from the type declaration. There is one advantage to enums: unlike #defined names which are typically discarded during compilation, enum names usually persist through to the debugger, and can be used while debugging your code. exactly the same format as a variable declaration, only with this extra keyword to tip you off. a declarator is the identifier and (any pointers, function brackets, or array indica-tions) that go along with it. like "parameters are passed to a called function by pushing them on the stack from right to left." This is oversimplification—if you own such a book, tear out that page and burn it. If you own such a compiler, tear out those bytes. If the caller provides a pointer to the stack, and more input than buffer space, gets() will happily overwrite the stack. • So a file descriptor is the offset in the per-process table-of-open-files (e.g., "3"). It is used in a UNIX system call to identify the file. • A FILE pointer holds the address of a file structure that is used to represent the open I/O stream (e.g. hex 20938). It is used in an ANSI C stdio library call to identify the file. chapter 2: It's not a bug,it's a language feature! 关于类型不匹配的两个对比案例： （1） /代码内容已省略/ (2) /代码内容已省略/ 例子（1）将提示警告“参数与原型不匹配”，例子（2）却是合法的。问题的症结在于“左边指针所指向的类型必须具有右边指针所指向类型的全部限定词”。按照这个规则，例子（2）因此是合法的。但例子（1）仍然不合法，因为指针p指向的是 const char*, 指针argv指向..